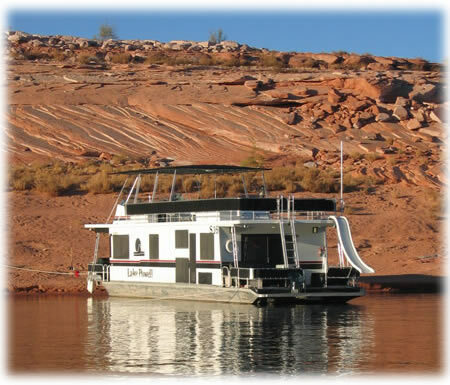 Come and enjoy our Lake Havasu Boat Rentals on a houseboat vacation with all the fun water toys, jet ski rentals, wakeboard boats – water ski boat rental, waverunner rentals, and more! Lake Havasu is 45 miles long and located in Parker, Arizona with other marinas in California; just imagine the possibilities of getting your own place on the lake to throw down your favorite wakeboard tricks, water ski lessons, first shove-it on the wake skate, or 360 on the wakesurf. Lake Havasu and Parker offers all the amenities for a great vacation including boating, fishing, camping, hiking and more. Lake Havasu and Parker is one of the hot spots for Spring break boating vacations. We offer guide water sport lesson which include; wakeboarding lessons, wake surf lessons, water ski lessons, kneeboard lessons, and wake skate lessons. Lake Havasu and Parker is located in Lake Havasu city, Arizona and has several marinas to launch from including: Site Six launch ramp, Sandpoint Marina, Lake Havasu Marina, Havasu Springs Resort and Marina, Havasu Landing Resort and marina, Cattail Cove State Park, Black Meadown Landing and marina, and Lake Havasu State Park next to Campbell cove RV Resort. Lake Havasu and Parker is one of the hot spots for spring break boating vacations, and boat rentals. Lake Havasu is a large reservoir behind Parker Dam on the Colorado river, on the border between California and Arizona Call Arizona Boat Rentals to outfit your next boating trip to Lake Havasu National Recreation Area.